Hello once again, BTVA. This is JMac52. I am ready to complete another fan dub of a popular show with a talented cast again. 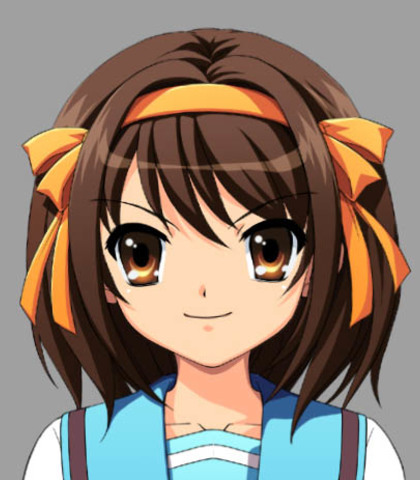 This time, we'll be dubbing the Baseball Episode of The Melancholy of Haruhi Suzumiya. I am about done mixing the episode and am putting the finishing touches on the script. So, all I need now is some voice talent! I need a lot of help with voices. There are many excellent voice actors and actresses on this site, so I thought I would put the audition form exclusively here. This show has some wacky characters with loads of energy, so put some energy into your parts! Have fun with this! I'm excited to see what all of you can do. For all characters you can try something original (which is what I'm doing for my part), or try to sound like the original voice cast. If it's well done either way, you just might get cast! So once again, be creative and have fun with your role. Make sure if you audition that you are devoted to the project. I am perfectly willing to expand deadlines for legit reasons, but otherwise make sure you try and get your lines on time. I will give plenty of time. Itsuki and Mikuru have already been cast, but everything else is still open! There are extras open for those interested as well. As you can see the project is posted on BTVA as well. Sounds like a stereotypical baseball umpire. I may have this person voice a few extras as well. 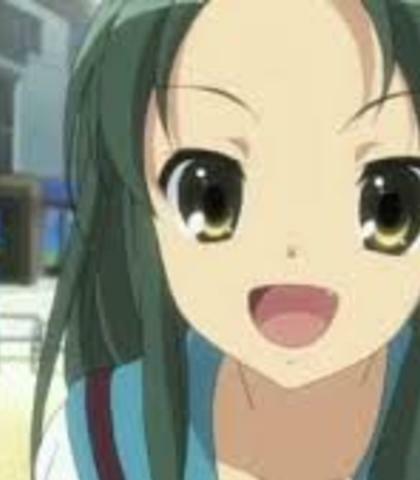 Tsuruya is the hyperactive friend of Mikuru. She goes through intense laughter at things she feels slightly humorous and has a noticeably loud voice. She tends to join the SOS Brigade when they need more people for activites. Her voice is medium level for a teen, but kind of obnoxious sounding. Try your own take or listen to Kari Wahlgren's for inspiration. (kind of obnoxious laugh) So, you're Kyon? I hear so much about you from Mikuru! So you're Taniguchi and Kunikida? I'll remember that! Haruhi is a bizarre girl who only interested non-humans. She also has a ton of energy. As the leader of the SOS Brigade, she leads the club into all types of strange situations. In this instance, a baseball tournament. Her voice should be medium to medium high. Both Aya Hirano and Wendee Lee did fantastic jobs, but I'm okay with an original attempt or a similar approach. Hey, you guys! We're going to enter ourselves in a baseball tournament! Hey, you guys, can we use the field now? And we also want to borrow your equipment. We need to have baseball practice and we're also kind of in a hurry, so would you get lost? 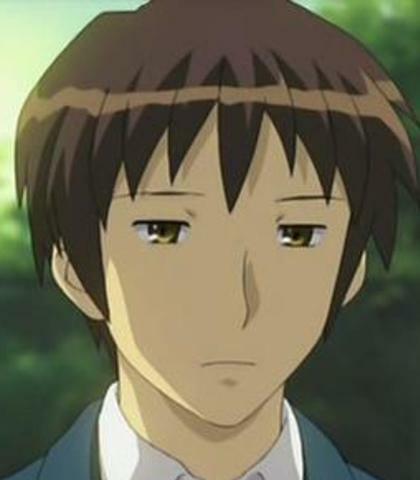 Taniguchi is one of Kyon's friends. Taniguchi thinks of himself as a lady's man and is pretty outgoing. He tends to join the SOS Brigade when they need more people for something. His voice is medium to medium low. (to Tsuruya) Hello there, my name's Taniguchi. It's a pleasure to meet you! So yeaaaahhhh, when he asked me I just couldn't turn down my good buddy Kyon. (determined) I'm going to knock this one right out of the park! Yuki was a member of the book club, but converted to the SOS Brigade when the book club died. She happens to be an alien who is observing Haruhi's action. Yuki is monotone in the way that Rei Ayanami is. Her voice is fairly low and monotoned. Still should sound like a teen though. It is possible, but I would advise against it. Any alteration of the regional climate could possibly have devastating after effects on the ecosystem of the planet. Take it. I changed the elemental boost information. Kunikida is Kyon's more quiet, laid back friend. He is the smartest of the trio and generally the most level-headed. He has a high voice and can be voiced by a female or male. Hi, I'm Kunikida. Pleasure to meet you. 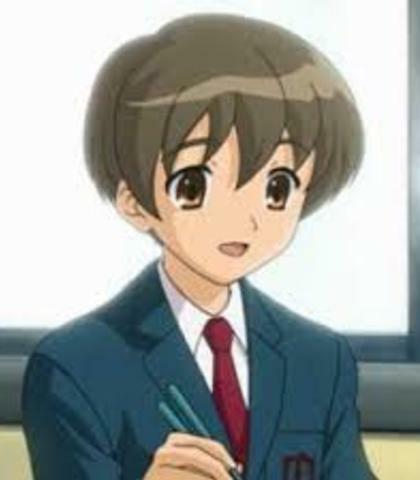 Kyon is the main male protagonist who the perspective of events is told from. Nothing is really special about him unlike the SOS Brigade members, but he generally rolls with Haruhi's demands. 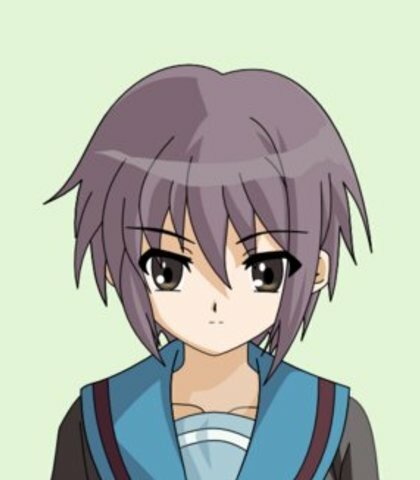 Kyon should have a medium-low voice that could belong to someone his age. Crispin Freeman did a great job, but you don't have to mimic necesarily. His lines are generally long in narration sections. (narration) The SOS Brigade was officially created by Haruhi in May. It's already June now. During that time I was involved in an incident, that's well... kind of like the world got a case of leg cramps. 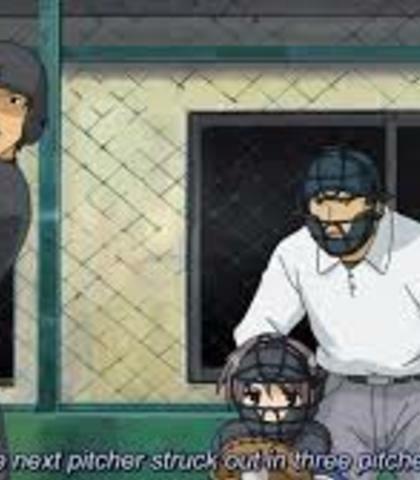 (narration with a little snarkiness) So, all of us got roped into entering a baseball tournament just like that. Why you ask? The reason's very simple. It was because... well... Haruhi was ... bored. (annoyed) Hey, do you even know the rules to baseball? 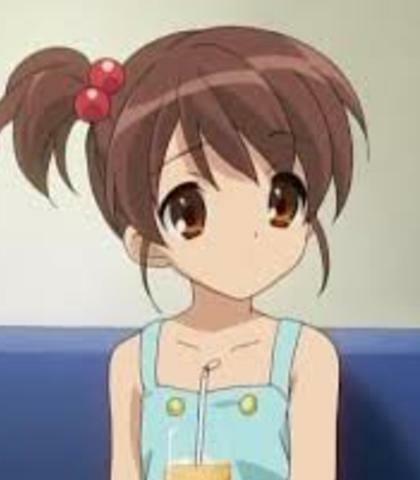 Kyon's little sister who joins the SOS Brigade at times throughout the show. Here she plays baseball with the group. Her voice is predictably high and childlike. She does not have all that many lines here. Wakey, wakey! It's time to get out of bed, Kyon! (laughs) Yeah, Kyon's my big brother!